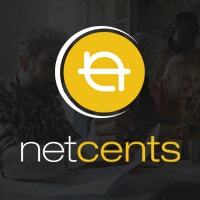 Making online and offline transactions convenient, safe, and consumer-friendly is the reason NetCents exists. It transforms the traditional payment method of using credit cards into a seamless, anonymous, and secure transaction that is available for everyone’s use. Operated from North America, this company is definitely one of the names in the industry consumers should keep an eye on if they wish to experience the perks of new technologies. To make things better, it caters to the cryptocurrency community of businesses and users. No Credit Cards? No Worries! 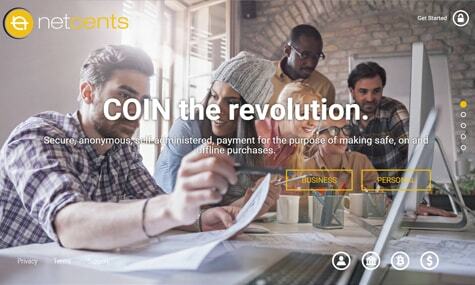 NetCents is an electronic payment platform that can be used by anyone across the globe. It enables users to enjoy the flexibility of choosing how they wish to pay by providing the options of cash or digital currency like Bitcoin. The factor that differentiates this company from other payment platforms is the fact that it is not reliant on credit cards. The majority of the payment services being offered today are structured on credit card usage, which tends to expose consumers to risks each time they purchase products or services online. With this platform on board, there is absolutely no need to own a credit card to buy the preferred goods. However, it requires its users to have at least a bank account. This electronic payment platform is simple to use, and it begins with the acquisition of a NetCents account. In order for users to register, though, a bank account and an email address must be provided. No other information will be needed; not even your name, date of birth, or gender. According to the company, this is necessary to fully secure and protect its customers from the possibilities of unfortunate incidents that may put their privacy and identification in peril. On another note, the fact that it only asks for a bank account means that a larger population can experience the innovation this company brings forth. With a significant portion of today’s world population without a credit card—whether voluntarily or financially deprived—it makes sense for this company to tap consumers who would rather use their funds stored in financial institutions when making purchases. In terms of its security, this platform has only this to say: very secure. The fact that the company does not collect any piece of information from you or your bank account means that your personal financial details are safely stored where they should be—within the confines of the bank. Moreover, NetCents prides on being in partnership with the Royal Bank of Canada. Thus, it uses the clearing services provided by the said bank and it even runs on its corporate bill payment services platform, which only strengthens its security and reliability. Meanwhile, when it comes to the actual payment procedure, consumers like yourself will simply need to transfer funds to the registered account, of which the amount will be verified by the platform. Once the company confirms the amount, the transaction gets processed. Insufficient funds, however, automatically bars the transaction from pushing through. With such payment service that completely ignores the role of credit cards in today’s setting, users are guaranteed of a more flexible, dynamic, and safer way to pay Bitcoin or cash.